This image is extremely special to me. Why? Its the first time in my travels to the Stirling Ranges that I’ve truly been able to capture clouds at Bluff Knoll. Seriously up until now it seemed like I was going to be the only photographer to have not personally seen clouds at the Stirling Ranges! 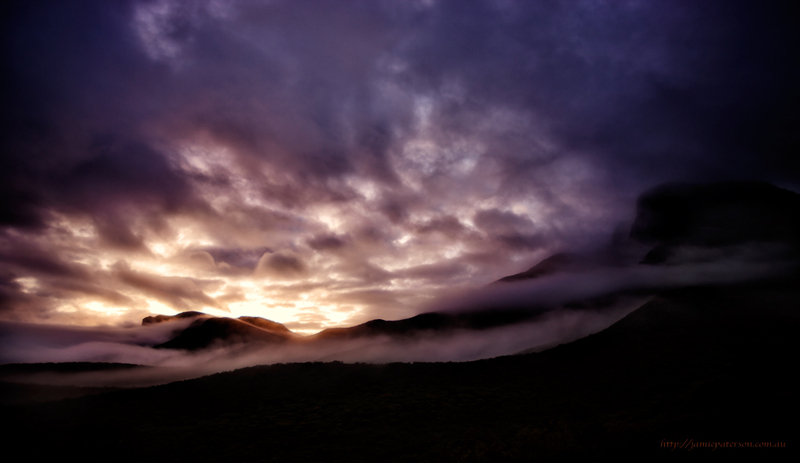 I was just so overjoyed when I woke up in the morning and drove up to Bluff Knoll to see this unfold before my eyes. It just goes to show that with photography you need to persist and keep trying to get the shot that you visualised no matter what. This entry was posted in australian landscape photography and tagged albany, australian landscape photography, australian photographer, australian photography, stirling ranges, stirling ranges national park, sunrise. This is one of your best Jamie! Persistance pays! Beautiful! One of my favorites. I find it very inspirational. Hi Danielle. Thank you very much! That one is really impressive.. Thank you so much I appreciate it. Really love your work as well.